Politician. First woman governor of Kansas. Democrat. Born: February 12, 1925. Married: Spencer W. Finney, Jr., July 24, 1957. Died July 28, 2001, Topeka, Kansas. Served as 42nd Governor of Kansas: January 14, 1991, to January 9, 1995. Joan Finney was the first female to serve as Governor of Kansas. Finney was born in 1925 in Topeka to Leonard and Mary Sands McInroy. She earned a bachelor's degree from Washburn University, Topeka. She married Spencer W. Finney, Jr., on July 24, 1957, in Topeka, Kansas. She began her long political career as a staff member in the Topeka and Washington, D.C. offices of U.S. Senator Frank Carlson. She served in this position from 1953-1969. Her next position was as commissioner of elections for Shawnee County which she held from 1970-1972, then as administrative assistant to the Topeka mayor, 1973-1974. She was elected to serve as Kansas State Treasurer from 1972-1986. 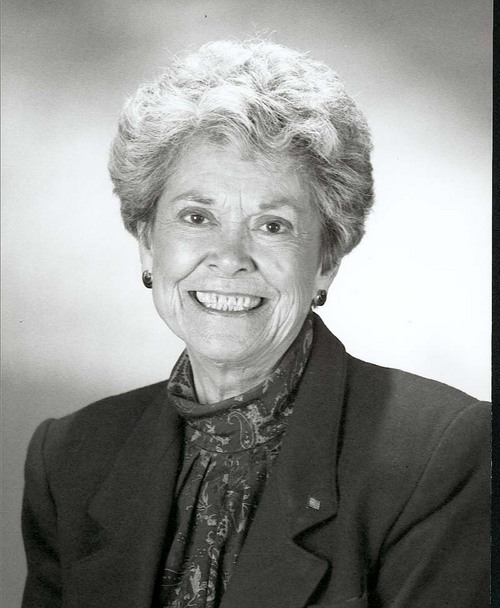 Finney became the first female to hold that position and the longest-serving Kansas state treasurer. Finney served as Governor of Kansas from 1991-1995. Joan Finney died in 2001.